The Human Genome Project (HGP) is an international research program designed to construct detailed genetic and physical maps of the human genome, to determine the complete nucleotide sequence of human DNA. 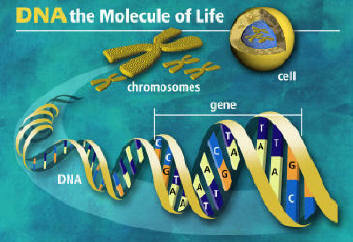 The human genome is comprised of two sets of 23 chromosomes - 46 chromosomes in all. Each parent contributes a set. About 97 percent of the genome consists of sequences that don't code for proteins and have no known function. Within the rest of the genome are estimated 70,000 genes. A DNA molecule consists of a ladder, formed of sugars and phosphates, and four nucleotide bases: adenine (A), thymine (T), cytosine (C), and guanine (G). The genetic code is specified by the order of the nucleotide bases, and each gene possesses a unique sequence of base pairs. Scientists use these base sequences to locate the position of genes on chromosomes and to construct a map of the entire human genome. The Human Genome Project (HGP) is an international research program designed to construct detailed genetic and physical maps of the human genome, to determine the complete nucleotide sequence of human DNA, to localize the estimated 50,000-100,000 genes within the human genome, and to perform similar analyses on the genomes of several other organisms used extensively in research laboratories as model systems. The scientific products of the HGP will comprise a resource of detailed information about the structure, organization and function of human DNA, information that constitutes the basic set of inherited "instructions" for the development and functioning of a human being. Successfully accomplishing these ambitious goals will demand the development of a variety of new technologies. It will also necessitate advanced means of making the information widely available to scientists, physicians, and others in order that the results may be rapidly used for the public good. Improved technology for biomedical research will thus be another important product of the HGP. From the inception of the HGP, it was clearly recognized that acquisition and use of such genetic knowledge would have momentous implications for both individuals and society and would pose a number of policy choices for public and professional deliberation. Analysis of the ethical, legal, and social implications of genetic knowledge, and the development of policy options for public consideration are therefore yet another major component of the human genome research effort. The Human Genome project revealed that human beings have 30,000-40,000 genes. That number is much lower than expected. For example, fruit fly has 13,300 genes, roundworm - 18,300 genes, mustard weed - 25,700 genes. According to genetic analysis, though, more than 98% of human DNA is identical to chimpanzee DNA. In fact, chimpanzees are more closely related to humans than orangutans and gorillas. "Humans are simply odd looking apes," psychologist Roger Fouts of Central Washington University in Ellensburg, Washington, writes in his 1997 book, Next of Kin : My Conversations With Chimpanzees. 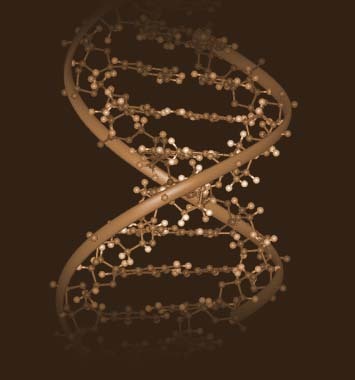 The Seven Daughters of Eve: The Science That Reveals Our Genetic Ancestry by Bryan Sykes. A 3.5-million-year-old fossil, flat-faced human from Kenya - Kenyanthropus platy-ops, suggests the human family tree is a lot more complicated than we knew. Implication is clear: More than one species of pre-human was wandering around Africa a few million years ago, and it's anyone's guess which of them evolved into human race. Fred Spoor, University College, London. Several years ago, spearpoints and other tools of modern man were found under a layer of volcanic ash. When Dr. McIntyre, a member of the U.S. Geological Survey, was invited to date the overlying ash, the archaeologists thought it could be as old as 20,000 years old, pushing the arrival of man in the New World back around 5,000 years. No one was prepared when uranium series dating and fission tracking methods provided the astounding age of 250,000 years. Dr. McIntyre shares what happened next: I thought, okay, we got something big here but I'm going to stick with the dates. I didn't realize it was going to ruin my whole career. The discovery of the connection between genetics and addiction has helped with recovery and rehab treatment programs at facilities like Morningside Recovery rehab. When the so-called "addiction genes" are found in a patient, Morningside can help patients avoid the negative environmental factors which lead to addictive behavior. 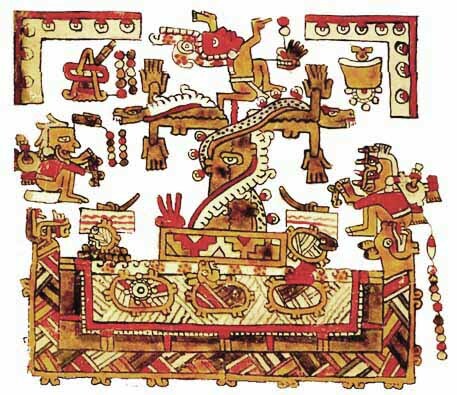 The Olmec "Tree of Life" (Mesoamerican Cosmology). 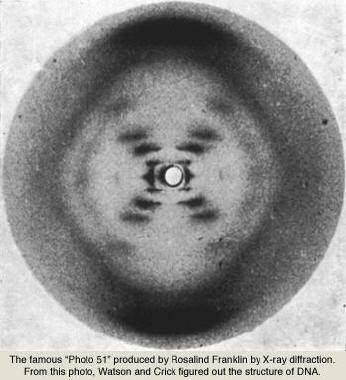 DNA - our modern "Tree of Life"
NOTE: The following text is © Z. Sitchin Reprinted with permission. As detailed in my books, beginning with The 12th Planet (1976) and even more so in Genesis Revisited and The Cosmic Code, the Anunnaki came to Earth some 450,000 years ago from the planet Nibiru – a member of our own solar system whose great orbit brings it to our part of the heavens once every 3,600 years. They came here in need of gold, with which to protect their dwindling atmosphere. Exhausted and in need of help in mining the gold, their chief scientist Enki suggested that they use their genetic knowledge to create the needed Primitive Workers. Modern Genetic Research Confirming Cayce’s Story. This section adapted from Mound Builders: Edgar Cayce's Forgotten Record of Ancient America by Gregory L. Little (August 2001). DNA analysis on Native Americans began in the 1980s, but with rapid technological improvements. research intensified in the early 1970s. Several teams of genetics researchers at prominent American universities have been conducting numerous studies. Although results from early studies showed the expected Siberian-Asia ancestry of the majority of modem Native American tribes, things took an unexpected turn in 1997. At that point it was found that a small percentage of modem Native Americans have an unusual type of DNA then known to exist out’, in a few locations in Europe and the Middle East. Subsequent research indicated that the European DNA was no the result of genetic mixing after Columbus. In addition, the same DNA was later found in the hone of an ancient American burial confirming that people carrying this unique DNA had entered America in ancient times. However, in July 2001. this unique gene was also found in a small tribe living in the northern Gobi Desert area. The DNA research initially seemed to promise solid proof of not only where the ancient Americans came from, but also when they came. However as might be expected, ancient DNA research has become a highly contentious issue with several competing sides.Most of’ the DNA research on Native American Indians has been done utilizing mitochondria. Every cell in our body contains hundreds to thousands of these tiny, football-shaped organelles. The mitochondria process glucose (sugar) into a usable form of energy for all of our body’s functions. The mitochondria are believed to be an evolutional form of bacteria that adapted into a symbiotic relationship with multi-celled life forms. Thus. the mitochondria have their own unique DNA. which is simpler and easier to analyze than the human DNA found in the nucleus. 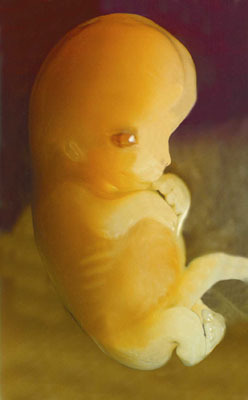 Mitochondrial DNA (usually abbreviated as mtDNA) is passed to offspring only’ through the egg. Thus, it is not a combination of male and female genes. It is a haploid gene — meaning that it has only’ one dose of chromosomes. The haploid mitochondrial DNA shows only the female lineage of a person. Diploid genes are two sets of combined chromosomes, the female set coming from the egg. the male chromosomes from the sperm. Mitochondrial DNA (mtDNA) is categorized into several types and groups termed haplotypes and haplogroups. That is, there are variations in the genetic cycle of mitochondria that fit into clusters. These clusters can trace lineage far back into time. There are 39 different. distinct mtDNA groups into which all humans fit and there are variations on these types. 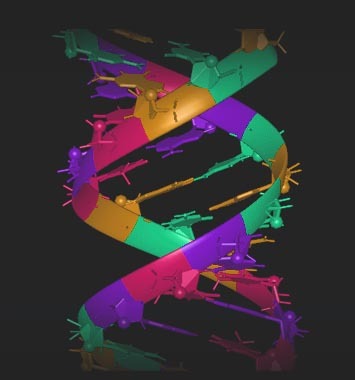 While mtDNA analysis is not only easier than other forms of genetic testing. it has a further advantage. All DNA mutates over time. But mtDNA has a fairly’ steady rate of mutation that permits a reasonably accurate estimate of exactly’ when a particular group of people migrated from their primary group. Thus, two important factors can be determined through analysis of rntDNA. First, a living person (or the mtDNA from the remains of a deceased person~ can be tested to determine the specific racial group from which the individual came. Secondly’. the approximate time when that individual’s ancestors migrated from their primary racial group can be determined. One way to view mtDNA testing is that it may be able to provide a racial family tree extending back to the beginning of humanity. The current idea in mtDNA analysis is that ancestory on the female side can eventually’ be traced hack to a genetic "Eve." The 39 types of mtDNA were presumably derived from this Eve. Whether this idea will be completely confirmed by research remains to be seen. However. mtDNA testing has confirmed several oral traditions passed down through many generations in several tribes. For example. the indigenous people of’ Hawaii and Polynesia have long asserted that their ancestors frequently traveled hack and forth and that they shared ancestor>’. Genetic testing showed that these two groups were related and confirmed the migratory’ legends of these peoples. The first research on living Native American tribes showed they were comprised of four distinct mtDNA haplogroups called A, B, C, and D. This means that the Native Americans are derived from four different lineages. These haplogroups were also found in native populations in Central and South America. Utter mtDNA research utilizing ancient remains recovered in the Americas validated these four haplogroups. Three of these haplogroups. A, C, and D are found primarily’ in Siberian Asia The B haplogroup, however, is found only in aboriginal groups in Southeast Asia. China, Japan. Melanesia, and Polynesia. Based on the mutations found in the mtDNA. most researchers think that groups A. C. and D entered America from Siberia across Beringia some time around 35.000 B.C. Group B, they assert, probably came to America from the South Pacific or Japan via boats. It is believed the B groups began this migration not long after the A. C. and D groups arrived. However, the majority of the B group arrived about 11.000 B.C. This leaves open the possibility of several migrations by the B group from different locations. It should be noted that a few geneticists have proposed that each of these tour haplogroups came in four separate migrations. And many Clovis supporters argue that all the groups migrated together. In 1997, a fifth mtDNA haplogroup was identified in Native Americans, This group, called ‘"X," is present in three percent of living Native Americans. Haplogroup X was not then found in Asia, but was found only in Europe and the Middle East where two to four percent of the population carry it. In those areas, the X haplogroup has primarily been found in parts of Spain, Bulgaria. Finland, Italy, and Israel. In July 2001, a research letter was published in the American Journal of Human Genetics, relating that a few people with the ‘X, type had been identified in a tribe located in extreme southern Siberia. These people, called the Altasians. or Altaics as Russian geneticists refer to them, have always lived in the Gobi Desert area. Archaeologists and geneticists are certain that the presence of "X" in America is not the result of historic intermarriages. It is of ancient origin. In addition, the "X’ type has now been found in the ancient remains of the Basque.Among Native American tribes, the X haplogroup has been found in small numbers in the Yakima. Sioux, and Navaho tribes, It has been found to a larger degree in the Ojibway, Oneota, and Nuu-Chah-Nulth tribes, The X haplogroup has also been discovered in ancient remains in Illinois near Ohio and a few’ other areas near the Great Lakes. It has not (so far) been found in South or Central American tribes including the MayaThe X haplogroup appears to have entered America in limited numbers perhaps as long ago as 34.000 B.C. Around 12,000 B.C. to 10.000 B.C. it appeared in much greater numbers, It is important to note that not ail Native American tribes have been categorized by mtDNA analysis and that relatively few ancient remains have been tested. The mtDNA research confirms most of’ the other new findings in archaeology. The Americas were settled early and many different racial groups came. Several different waves of migration probably’ occurred. The initial wave seems to have occurred around 35.000 B.C. However, it may have been far earlier since some of the recent radiocarbon dates that have emerged from areas like California and the southwest point to 50,000 B.C. But it must be kept in mind that mtDNA analysis is still in its infancy. Not all current Native American tribes and very few remains have been tested. But the picture the mtDNA research findings paint of ancient America is astonishing. It may’ seem that the apparent widespread presence of the X type (from Canada and Washington State. to Arizona. to the Plains. to the Great Lakes area) could indicate a wide initial dispersal. However, the history of several of these tribes tells a different story’.The X type in ancient America appears to be linked to the Iroquois. This tribe, of course, was, according to Cayce. partly the remnant of Atlantean survivors from its final destruction in 10.000 B.C. The finding of the X group in the north Gobi-dwelling Altasians is hailed as proof that all American migrations came from Siberia via the Bering Straits, yet it seems unlikely. With the X type being present in the Middle East. Europe. the ancient Basques. and America, a migration from the Gobi to all of these areas is doubtful. The Cayce readings cite a series of large and small migrations of Atlanteans to very specific parts of the world. These migrations occurred at several times, but especially during the years approaching 10.000 B.C. One of these places was to the Gobi in extreme southern Siberian Asia If we assume that haplotype X originated from Cayce’s Atlantis. some of the X haplotype should be found in the Gobi region— but very little of this group should be found elsewhere in Siberia. This is what has been found. The B haplogroup, found only’ in aboriginal groups in Southeast Asia. China, Japan, Melanesia, and Polynesia, may represent Cayce’s people of Mu. Both Chinese and Japanese archaeologists take the idea of Mu seriously, and the B haplogroup findings closely match the story Cayce told about the continent. Most of the people of Mu who escaped the destruction in 50,000 B.C. escaped to China, India, and Japan. Some time later, descendants of these peoples could have traveled to America. While Cayce said that some people from Mu entered the Americas about 50,000 B.C., he did not indicate that date as the time period when the majority of them came. We only know that it was after 50,000 B.C. and prior to 28,000 B.C. A,C,&D Haplogroups – from Siberia? The Cayce readings do indicate that people entered the Americas from both the east and west in 28.000 B.C. These migrants came from Atlantis. China, and from "across the Pacific." The 28.000 B.C. date matches well with the haplogroups A. B, C, and D proposed dates of entry into America. The Cayce readings do have references to the Bering Straits, but Cayce did not relate that there were migrations across it. In fact, no one ever thought to ask him about this, so it remains an open question in the Cayce story’. But the A. C. and D haplogroups clearly’ originated in Siberia just as the archaeologists have speculated. Cayce stated that the "yellow" or Mongol race of humanity originated in the (Gobi and gradually’ spread throughout Asia. Thus, according to Cayce. haplogroups A. C. and D probably’ originated in the Gobi and would be the migrations Cay cc cited as coming from "across the Pacific." Cayce indicated that the largest migration from Atlantis occurred just before 10.000 B.C. The majority of these Atlantean survivors went to the Northeastern coastal areas of America and Canada becoming the Iroquois. It should be recalled that Cayce also stated that not all of the Iroquois were Atlantean. The Atlanteans migrating to the Americas merged with the people already present in America by that time. The Atlanteans became kaders of the tribes. Cayce’s story’ makes it clear that the Atlanteans had serious disputes among themselves that were reflected in ongoing violent conflict. (This was the struggle between the Belial and Law of One groups.) This is confirmed by the Iroquois’ ancient history that tells of constant battles resulting in distant displacements of entire tribes to ensure their survival,Perhaps the most astonishing confirmation of Cayce’s story of ancient America is the presence of haplogroup X, What is known is that the X haplogroup first showed up in America perhaps 34,000 years ago. but its main entry occurred in 10,000 B.C. These dates match Cayce’s timeframe for Atlantean migrations as well as the occurrence of X in the specific tribes predicted by’ his statements. The X group also appears to have shown up in ancient Iberia and in the Basques about the same time as well as in the Gobi. These dates match Cayce’s story of the final two destructions of Atlantis and the resulting migrations to these areas. Note: The following Article is a preview of the book The Anunnaki's Children by José de Faria e Maya. All that, and much more, is engraved in thousand of tablets that have survived for more than 5.000 years, preserved in the best possible way, as burnt clay! Those clay tablets were cooked by the fire of the library of Nineveh, and by that abnormal fact, were then given an extra resistance to endure time! 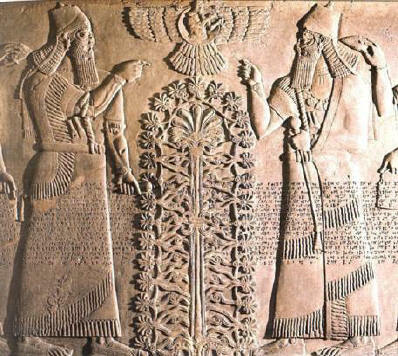 The big question is then, who is the Anunnaki’s God? The real Universal God? The Real Universal God is a much more abstract one and is the togetherness of all Universal Consciousness. The Holly Spirit, the togetherness of all consciousness, is the Universal God, but by being such an abstract idea people have tended to forget, and revert to more humanized types of gods. Quantum Theory tells us than man go on creating his own world, and in it resides the source of man free will. We can by our conscience influence the way the wave will collapse. Everything being waves means we are all part of a Universal net, where anyone influences everyone! Evil is a man’s creation. The USA Military and economic cartels have kept some very important discoveries, particularly in the field of Energy generation, hidden from us, for more than 40 years. To have no doubts about this so delicate and important subject, read the book that Steven M. Greer just published, called "Disclosure". Steven is a M.D. 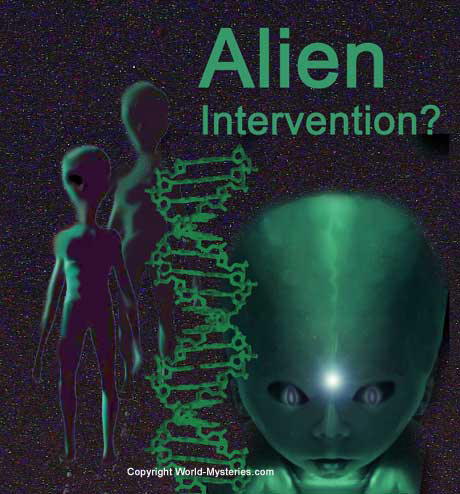 Doctor, working in the emergency room of an American Hospital, who since 1993 has dedicated most of his time trying to force the American and other Governments to disclose all the facts they have hidden about Human contacts with Alien entities. After reading his last book, you will be terrible scared, but deeply convinced that something very big and important has been kept hidden for too long, and so well hidden that even some American Presidents knew very little about it! The late President Eisenhower in his last speech to the Country, in January 1961, alerted about the dangers of the " huge industrial and military machinery of defense". This machinery does not respect anyone, not even the USA President, who they feel is a transitory person, while they are permanent ones. They have created a real perfect secret environment, where no one has the vision of the global, and neither the capacity to unblock the system. This covert program is so well protected that today, there is not in the USA anyone capable to give an order to disclose it!! Unbelievable as it may be, one of the reasons why the secret has been so well kept, is that today it is hard to find who can reveal it, or who has the key to open the vaults of the secret! Its control has run out of the governments and no democratic institution has the power, or knowledge, to control it. May be we can keep this secret till this generation dies, but no doubt we will transmit a moribund planet to our sons and all futures generations. So, by now we know who we are, who re-made us, or gave us a push in the evolution scale, and who were those so funny and fierce gods, we for so long mistook with the real God. We also have now an idea how the Churches should be reformulated in order as to be able to keep having a place in this new society. We know that certain knowledge, given to us by Entities from another planet, should be soon disclosed, as with it we still can avoid the Earth destruction by pollution and fossil energy exhaustion. We have in our hands the ways to leave to our sons and grandsons a better and cleaner world, and just because of such an egoistic scare, we have no right to cowardly, like Nero enjoying the sight of Rome in flames, keep just for ourselves the last days of our Planet Earth. We know that to arrive safely to the end, we have to be very cautious and follow a very narrow way The Universe has plenty of time for itself, and if we fail, others will win and pass the bridge safely. The end result is in our hands. As Neil Freer says in "God Games" "we are entering now the end game phase!" Introduction by Zecharia Sitchin. This new book by the author of "Breaking the Godspell" clearly outlines the entire human evolutionary scenario and what it means today. While Sitchin has delineated what happened to humankind in the remote past based on ancient texts, Freer outlines the implications for the future. We are a genetically-engineered race with both animal and "godly" genes - genes which have thereby made us into incredibly unique organisms with an accelerated evolutionary path. In less than a century we have moved from the horse and buggy to walking on the moon. Freer gives a clear picture of what else is in store based on the current psychological and physical trends that are developing. We are all creating the next step we need to take as we evolve from a genetically engineered half-animal species into something far beyond what we could ever imagine. We are now playing the "god games." We are convinced that great thinkers in the future will look back on this book, in particular, as being the one which opened the door to a new paradigm now developing. Neil Freer is a brilliant philosopher who recognizes the complete picture today, and is far ahead of all others who wonder what really makes us tick, and where it is that we are going. This book will make you think in new and different ways. Accept the challenge of God Games and you will be greatly rewarded. Who, When, Why, What for? Those are the main questions Man keeps putting to himself, and for which only very few have yet found a satisfactory answer. Let us go together in a mind journey, and see how far reasoning can take us finding explanations to those eternal questions, and when and where do we reach our mind limit. At the same time, we will not forget the essence of Gödel theorem that says that in our most deep and profound reasoning we always have to start from a point that we have to accept without questioning. This point has always to stay out of the system, and cannot be deduced, meaning there is a limit to what we can reach by our own mind. We will be humble enough to accept our body or machine limitations, but will put no limits to our Soul, the part of God in each one of us. We will discuss the essence of the Soul, and interpret Entropy as the inverse of God’s Grace. Will contest Darwin, and analyse evolution as a fight against Entropy, with a well-defined direction given by a God’s Blow; Man’s evolution feeding on Nega-Entropy, until reaching such a low value of Entropy, (God’s Constant), as to be able to enter in contact with God. Will solve the Solipsists dilemma, and join Everett Wheeler Many Worlds interpretation. Will see, how man’s free will can be deduced from the Quanta Theory, and how come that even God does not know the way each World trial will ever finish. Together we will even deduce a test capable to separate the right Messiahs from the wrong ones! All that, and much more we will reach together, agreeing in the way in some points and not in others, but surely finding ourselves much richer at the end. by Gregory L. Little (August 2001).